It’s #CoralsWeek! Tune in here and around NOAA all this week to learn more about these valuable ecosystems. Ideally, to protect coral reefs, we want to remove existing debris before it has a chance to cause damage. The Florida Department of Environmental Protection is working with the MDP to remove several tons of construction debris from man-made islands located in the Biscayne Bay Aquatic Preserve. Although this debris is not on a reef, it continually re-floats and may damage nearby habitats, including corals. Some of the materials being removed, such as metal, plastic, and pressure treated wood, do not break down rapidly and tend to accumulate on nearby reefs. There is also debris that needs to be removed from the reefs themselves. The Florida Fish and Wildlife Conservation Commission, with support from the MDP, will remove derelict lobster and crab traps and over 200 derelict vessels in areas impacted by Hurricane Irma. Much of this debris removal will take place in or near coral reefs within the Florida reef tract in Southeast Florida and the Florida Keys National Marine Sanctuary. The Florida Fish and Wildlife Conservation Commission is also working with the MDP to collect data on how debris collects and moves around Florida waters. If we know where debris is likely to collect, it will helps us identify and remove it more quickly after the next storm. 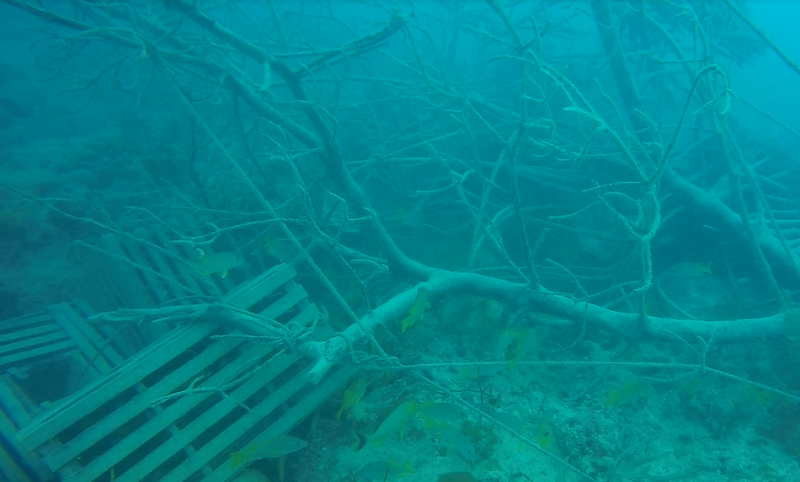 We will be able to more precisely target what debris to focus on first, and hopefully save more corals. Hurricanes cause so much destruction to human habitats on land that we often forget about the destruction they cause to habitats in the ocean. We are proud to do our part to help these amazing ecosystems recover.